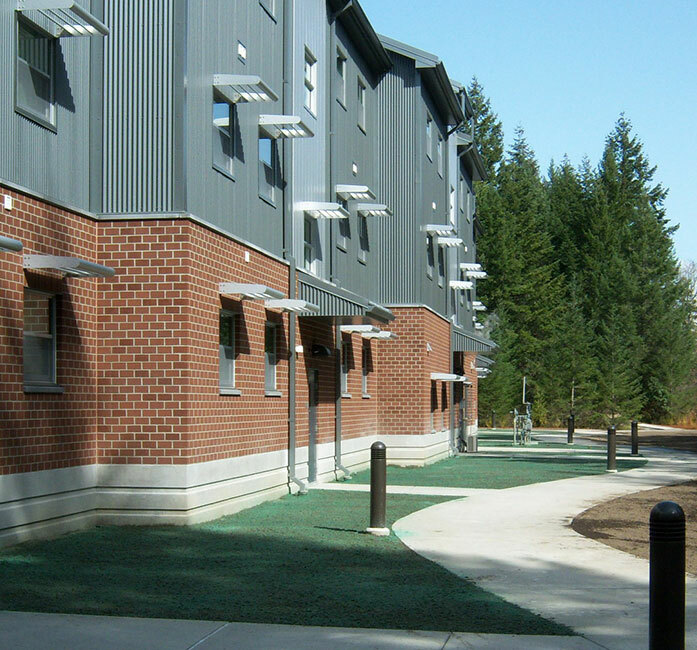 GLMV designed a number of barracks complexes for Joint Base Lewis-McChord, located near Tacoma, Washington. The majority of the design-build projects were for Unaccompanied Enlisted Personnel Housing (UEPH) barracks, designed to harmonize with surrounding buildings and mirror private-sector housing. The Army Reserve Center (ARC) is a key multipurpose facility type for the military, providing training, maintenance, administration, and storage in one stop. We’ve designed a number of ARCs for the U.S. Army Corps of Engineers, always striving to maximize use of space at each site and provide an attractive, functional resource for our military. It’s critical for operations to run smoothly at any military installation, and leadership at Fort Riley recognized a need for a large-scale revitalization of the on-fort Tactical Equipment Maintenance Facility. After holding a programming charrette to gather input from users and other key stakeholders, we designed a highly sustainable facility to service Army vehicles and other equipment.